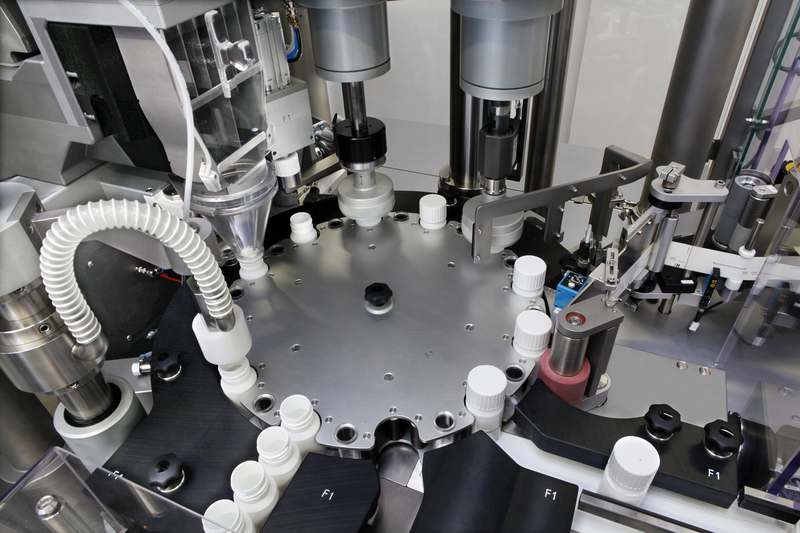 The first step to tackle this issue was to design the AVM 738E integrated capper/labeller. 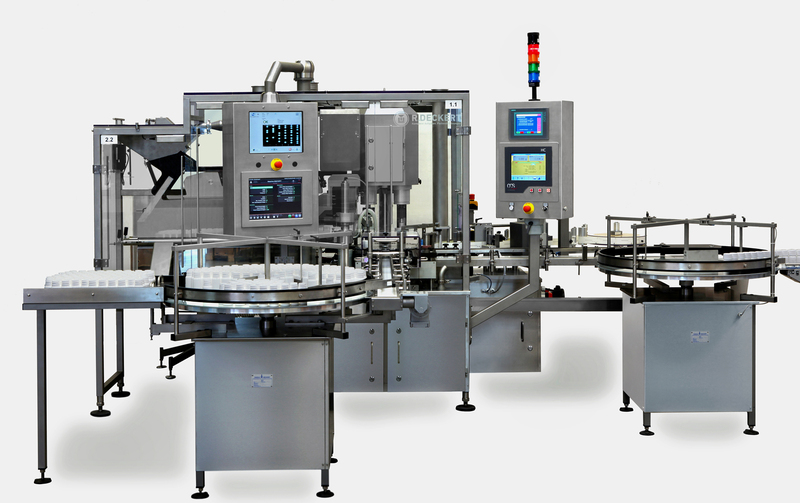 This enabled us to cap and label on the same machine frame, reducing overall foot print and cost compared to conventional tablet counting lines. This is ideal for low speed applications for which we now have many integrated capping and labelling machines in the field. Subsequently we fitted a Cremer new 6 lane counting modules onto the starwheel of our capping machine to produce a monoblock counting, capping and labelling machine. Incoming bottles are filled, capped and labelled with a self adhesive wrapround label. 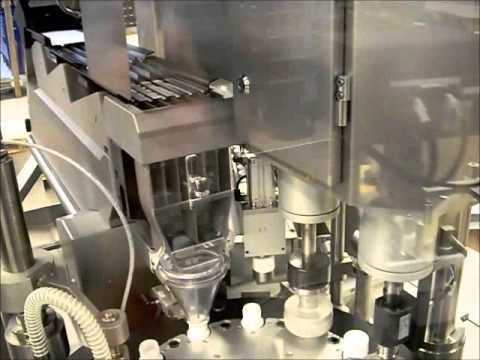 Bottle air cleaning, unscrambling and other standard tablet counting line functions are also available. Bottles can be weighed on the starwheel to confirm the already very high accuracy count of the Cremer counting head. 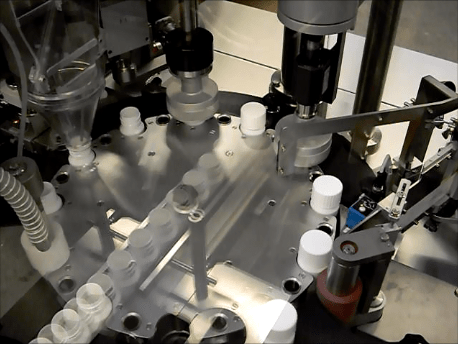 The complete system can handle bottles up to 75 mm in diameter and 150 mm high and run at up to 2000 bottles an hour, depending on the bottle and the tablet count. Deckert have recently delivered a 120 pots per minute tablet counting line with a new design of modular capping machine with linear bottle transport using a walking beam. Deckert have fitted a 6 lane counting module on a standard capping and labelling starwheel and created a monoblock counter, capper and labeller.